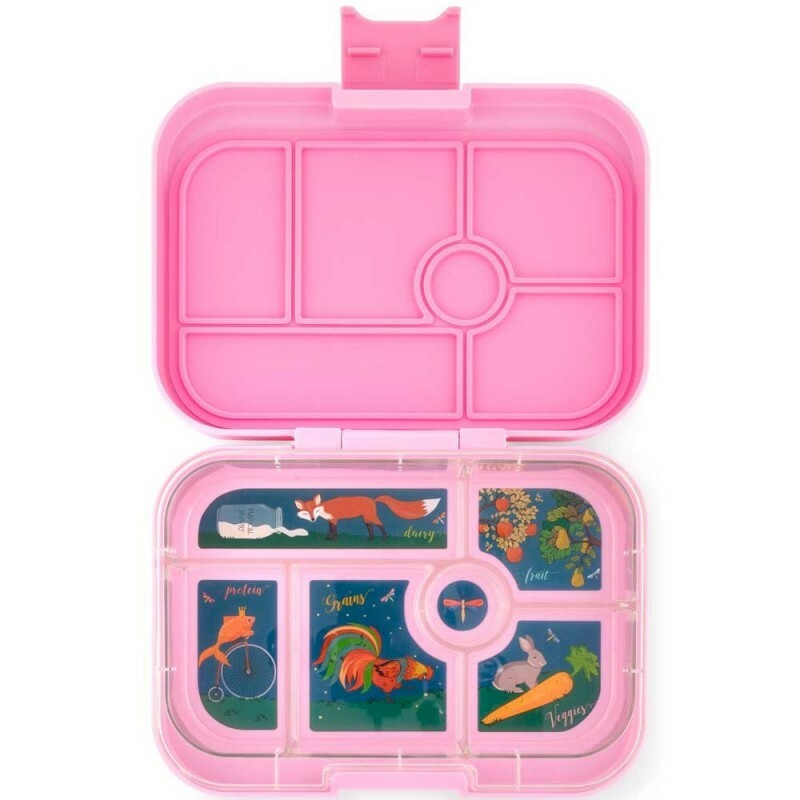 Pink Yumbox Original is a bento-style lunchbox with 6 compartments and a single lid. Perfect for children who like variety, the Yumbox Original is divided into 5 half-cup portions of the key food groups, plus a dip/treat. Pack wet foods like yogurt and dips (but not water or runny liquids). 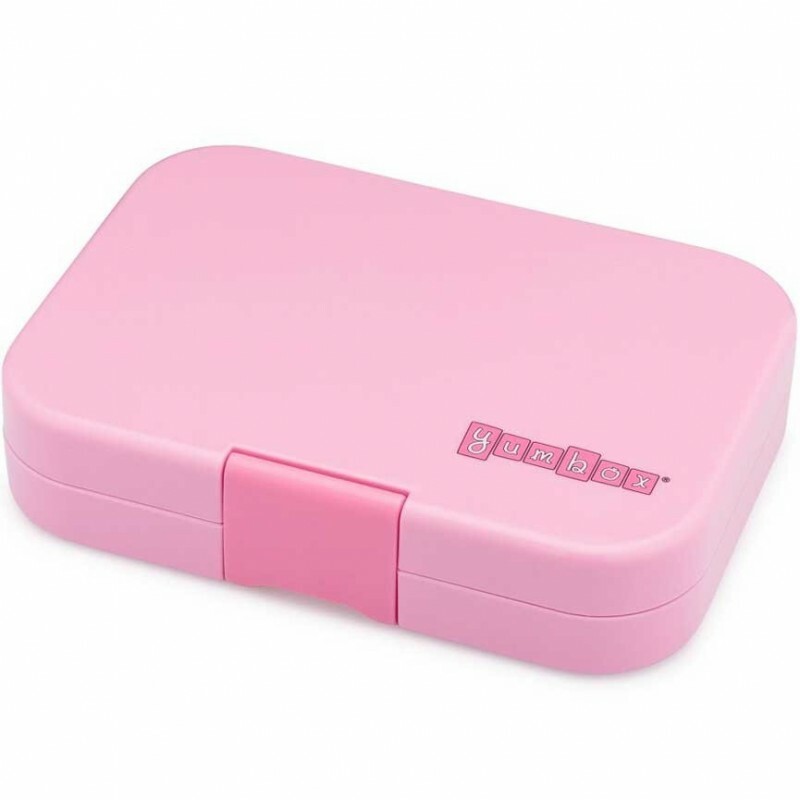 Stardust Pink colour. 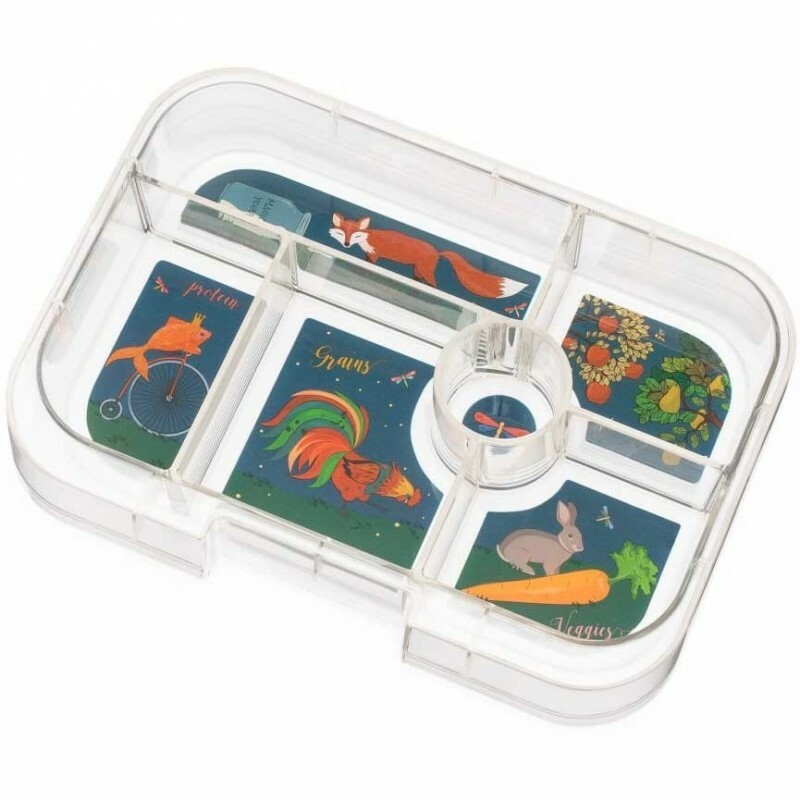 Includes pink box and tray insert with enchanted forest themed illustrations. Beautiful colour and love the magical inner pics. Daughter can easily access her food and is fresh if kept in for hours. Keeps well in fridge.